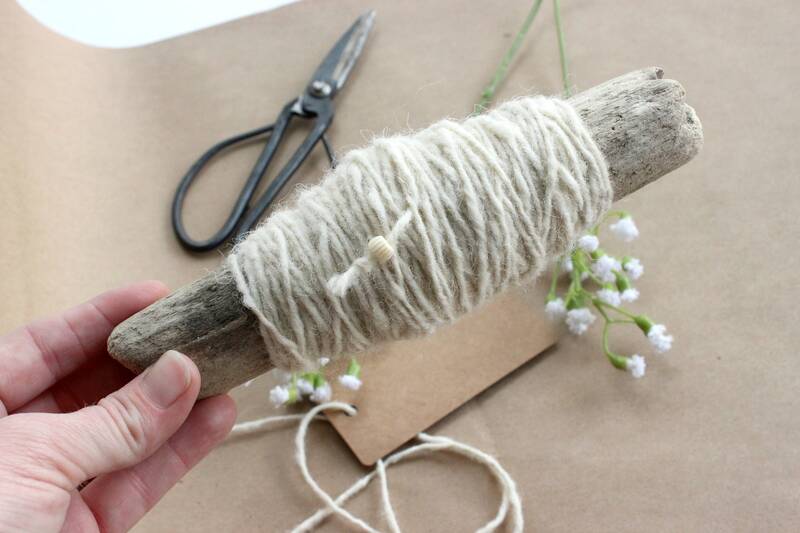 Natural driftwood bobbins wrapped with vintage string. 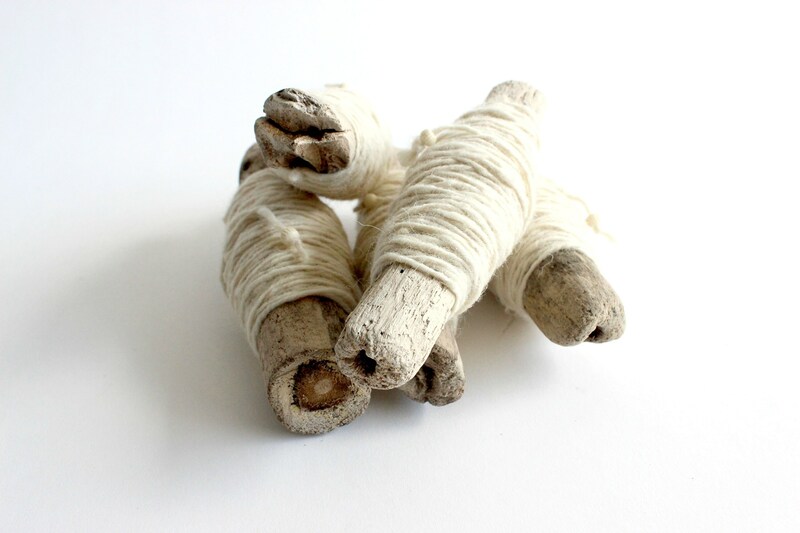 A small piece of Laguna Beach, California driftwood that has been hand wrapped with approximately 2-3 yards of vintage cream colored string. Finished with a small bead so that it's easy to find the end. 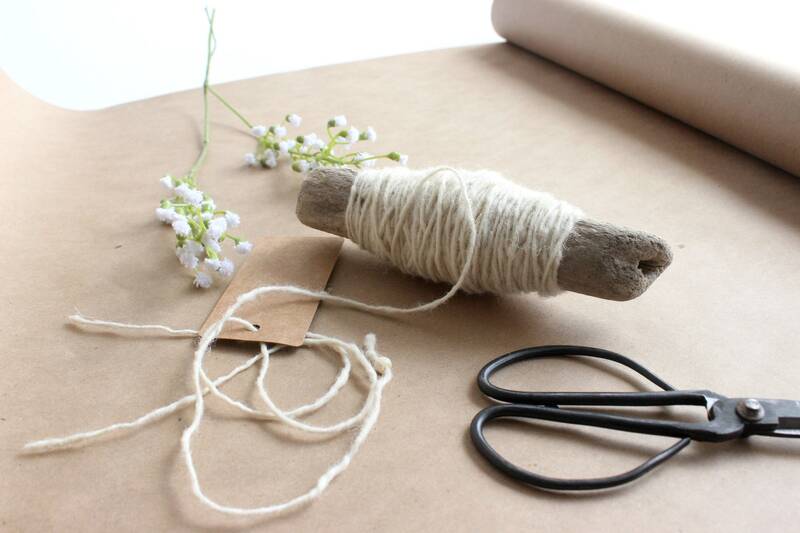 Perfect for gift wrapping! 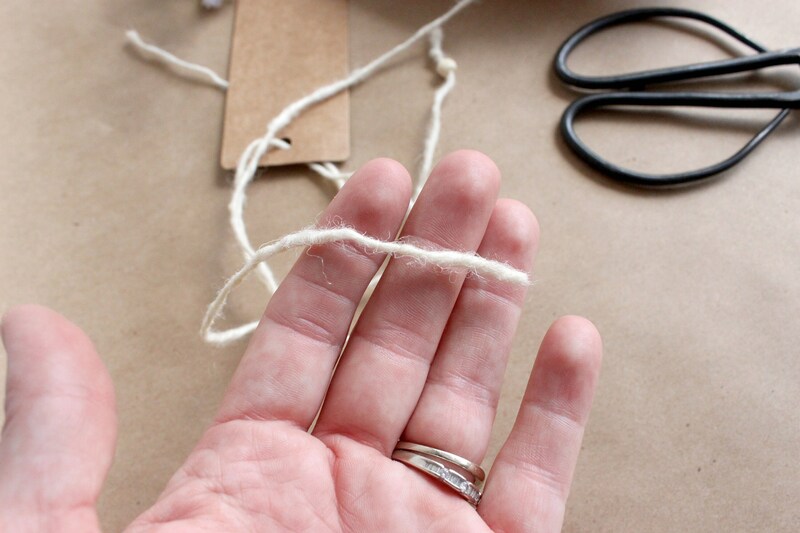 The string is slightly rough and coarse. It has a great natural feel! Each piece of driftwood is unique. Although they have been cleaned, some bits of beach sand still may be found. Each bobbin varies slightly. Approximately 6-7 inches long.